With a body of work as richly varied as his personality and abilities, Leon Olson emerged on the Santa Barbara scene in 1977, after a career in Lincoln, Nebraska. A graduate of the University of Nebraska school of architecture, he had recently sold a design / build construction business that he and his partners initiated in 1969 which focused on residential and multi-family projects. But now Leon, new to California, was ready for something different. His plan? Art. Quickly determining that such an open and creative venture was a good place to put his energy, he became a part of the Mime Caravan Board, helping transform the Summer Solstice event into Summer Solstice Inc., a non-profit company which continues to sponsor the popular Summer Solstice parade and festival. He served on its board in many roles for eight years. Not completely giving up his interest and experience in the development and construction of residential properties, even while he pursued the skills of a fine artist and non-profit leader, Leon was led to “Homes for People” where he joined the Board and served as treasurer for many years. During his term on the board, Homes for People helped 63 Santa Barbara families build their homes. In 1989 he joined the Board of the Contemporary Arts Forum and served a term as President. He was integral in their Finance Committee and helped to develop and then served on the Million Dollar Raffle Committee for six very successful years. 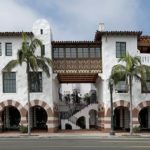 Leon re-emerged in the design / build industry big time in 2006 with the Laguna Vieja development, a Santa Barbara Beautiful Award winner in a collaboration with Jeff Shelton. Since then he and the team have been cooking with winning projects, Leon providing business leadership on a team including Architect Jeff Shelton and Contractor Dan Upton, who have created several successful collaborations over the years. His non-profit and arts work also continued. In 2009 Leon joined the board of the Santa Barbara Arts Collaborative and now heads the Community Arts Workshop construction project on Garden Street. Leon also served as a member of the City Arts Advisory Committee where he was instrumental in establishing the Business in Art Award, an annual award that recognizes individuals or entities that have demonstrated a strong commitment to supporting the local arts community. Leon also became a gifted visual artist and along with his business partners, has developed, owned, and managed several award-winning, downtown landmark properties, including the property where he and his wife Elizabeth live.